Jaytech is making his New York City return on Friday, November 6 and we want to make sure you’re part of the action! James Cayzer—better known as Jaytech—will assuredly provide an unforgettable DJ set amongst kindred spirits. 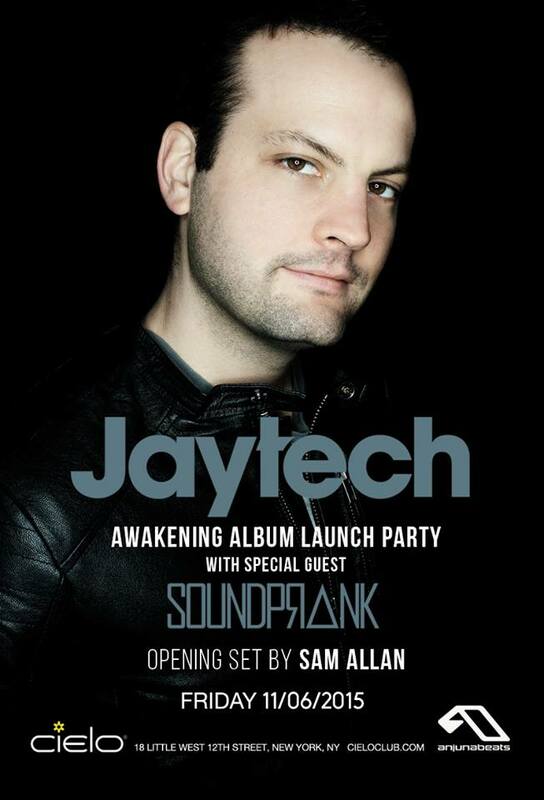 Soundprank is to join Jaytech this weekend at Cielo. Familiar to many for his releases on Above & Beyond’s Anjunabeats and Anjunadeep labels, the Australian musician has mixed Anjunadeep 02, Anjunadeep 03, and Anjunadeep 04 alongside James Grant. This year alone, Jaytech has released a new single “Sidelines” ft. Kailin and a “Positron Remixes” EP. *Contest ends Fri., Nov. 6th at 1 pm EST. Cielo nightclub is located at 18 Little West 12th Street; New York, NY. Tier 2 tickets ($25) for Jaytech at Cielo NYC on are available HERE.